This street is one of the few to have retained the appearance that Saint-Malo had before World War II. It features some of the oldest houses in Saint-Malo, some of which date from 1670 and 1718. No. 3, which is one of the oldest houses in this street (and is an Historic Monument), is the most famous one. It consists of two twin houses from the 17th century which once had a courtyard with glazed wooden façades. They were joined together to form a single building when they were converted into a hotel for tourists. It was on these premises that the famous novelist François-René de Chateaubriand (Saint-Malo 1768 - Paris 1848), who began the Romantic movement in France, was born. 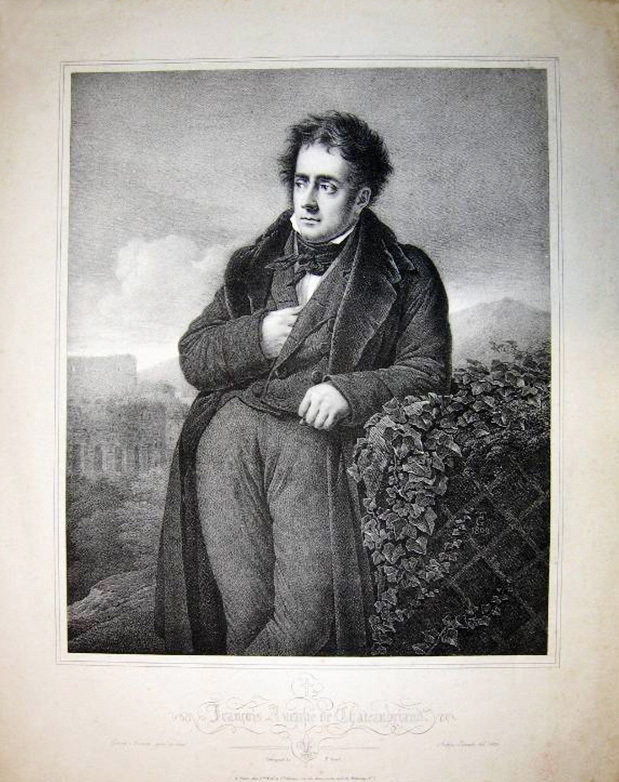 In his famous autobiography entitled Les Mémoires d’Outre-Tombe (Memoirs from Beyond the Grave) Chateaubriand stated: “The room where my mother gave birth overlooked a deserted part of the town walls, and through the windows of this room you could see the sea, which stretched off over the horizon, with breakers crashing onto the rocks”. But according to the eyewitness account of one of his sisters, Marie-Anne, the Countess of Marigny, the room where Chateaubriand was born was on the street side, on the second floor, in the western part of the building. In the courtyard of the Hôtel de France et de Chateaubriand, a gate built around 1840 has the Chateaubriand family crest above it, which bears the motto “My blood has stained the banners of France”. Before 1848, Rue Chateaubriand was called Rue des Juifs (Jews’ Street) in memory of the Jewish community which lived there during the Middle Ages. In the days of Jacques Cartier (Saint-Malo 1491 - Saint-Malo 1557), who also lived in there, it was called Rue de Buhen.